Know about the requirements of the audit trails in pharmaceutical instruments according to the 21 CFR part 11. The purpose of an audit trail is to make the electronic data secure and traceable. The audit trail is a regulatory requirement in pharmaceutical manufacturing. Audit trail shows in the record the name of persons who assessed the computer system with the date and time. It also helps to recover the lost data. Audit trail assures the record integrity and security. It is a regulatory requirement and it should be started in all the instruments and equipment those record the real-time data. FDA has issued many warning letters relating to audit trails. The requirements of the audit trail impact computer-controlled systems in pharma manufacturing. All analytical equipment like HPLC, UV Spectrophotometer, IR Spectrophotometer, Gas Chromatography etc should be audit trailed. When any computerized systems do not have the option of data change such as data logger that is used to record the temperature and data is stored securely then audit trail is not a necessary requirement. The systems do not have audit trail should be controlled through standard operating procedures (SOPs) SOP should ensure the authorized access to the computerized system. 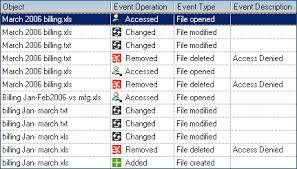 Audit trail data should be secured and should not have the option to edit or delete. In audit trail record following information should be recorded. 5. Invalid attempts to log on the system should also be recorded in the audit trail. 1. Records should be protected and ensure their accuracy and ready retrieval throughout the storage period. 2. Access to the system should be limited to the authorized persons only. 3. The system should record the date and time of used entries and action, modifications and deletion of records in the system. These records should be shown during the review of the system. European Commission also released (Annex 11 Computerized Systems) the guideline in 2011 on the audit trail. EU states that GMP relevant change and deletion should be tracked and documented and regularly reviewed.